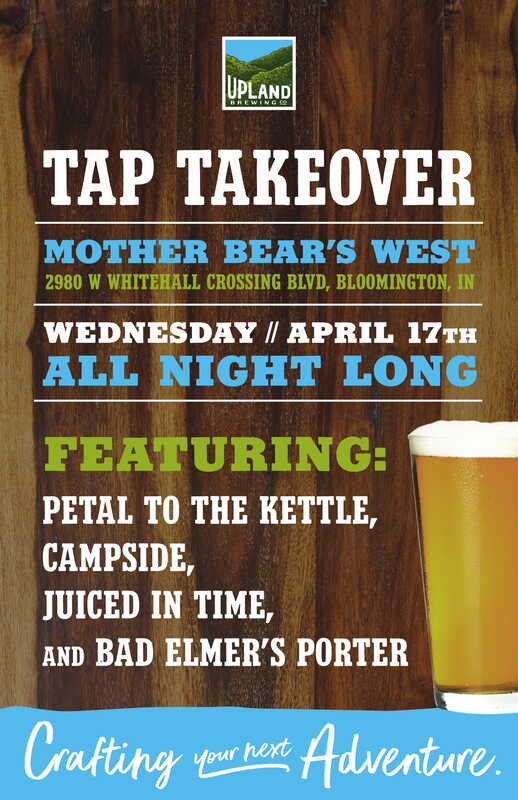 Tap Takeover at Mother Bear's - Upland Brewing Co.
Join us at Mother Bear’s West for a night of Upland beers and pizza! This evening’s tap takeover lineup includes Petal to the Kettle Sour Ale, Campside Pale Ale, Juiced in Time, and Bad Elmer’s Porter. Our rep Ty will be there send you home with free swag and help you pick the perfect beer and pizza pairing. We’ll see you there!